We have designed our E-commerce consulting services to help you improve your site and generate more sales. We bring more than 20 years of e-commerce experience to the table to help with your site. We will evaluate your site based on 220 key points including Search Engine Friendliness, design and usability, industry best practices, checkout conversion capabilities and compare to the leaders in your industry. Our proven track record has shown that around 50% of our customers that come to us with existing sites, have doubled their sales. We do this by first focusing on getting the traffic that you already have doing more of what you want them to do. Our site evaluation and recommendation report will help guide you to making the best decisions for your e-commerce website. We perform a complete site evaluation to determine the best recommendations for your business. We will look at who the top players are in your segment and determine what they are doing that you should do. After we do the research, we will make recommendations that will optimize your conversion funnel. Building an e-commerce experience that not only draws users in but also converts them is not impossible. Are you ready to take the next step in your business? We can help. Over the years, we have worked with many different shopping cart systems. 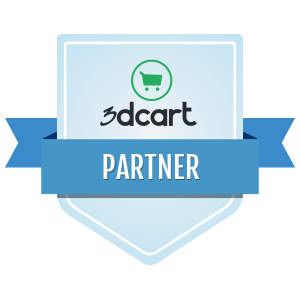 After a long evaluation of features and capabilities, we have chosen to work with 3d Cart. They have built their system to allow for phenomenal search engine optimization. The system is easy to manage and has dozens of plugins that help you market, manage, and grow your online store. We will use our proven system of evaluating your site and its capabilities. Each of these packages includes an initial consultation and a review of your report. Do you have questions? We have answers. Here are just a few of the most common ones we have heard. How long does it take to get my evaluation? Once we receive your order information we will schedule your evaluation. Once we begin the evaluation it typically takes three to five days to get your reports. We will then schedule a virtual meeting to go over our findings and our recommendations. Will you implement the changes you recommend on my site? Depending on the system that your site is built on, we can help with the customizations we recommend. If we cannot, we will work with your developer to guide them through the changes that need to be made to achieve your goals. What can I expect to receive with my evaluation? When we do a complete site evaluation you will receive several reports - including and SEO checklist, conversion optimization checklist, site usability checklist and a competitive analysis report. Will you help me build my online store? If you are setting up a new store, we can help you set it up. We primarily work with 3dCart. This system is built from the ground up for outstanding search engine friendliness and easy of use. We have also found that we have a lot of freedom to customize the look and feel of your site. 833-623-3474 or complete the simple form below. MadFish Solutions brings more than 20 years of experience in website design, e-commerce consulting and digital marketing to help your business become everything you desire.